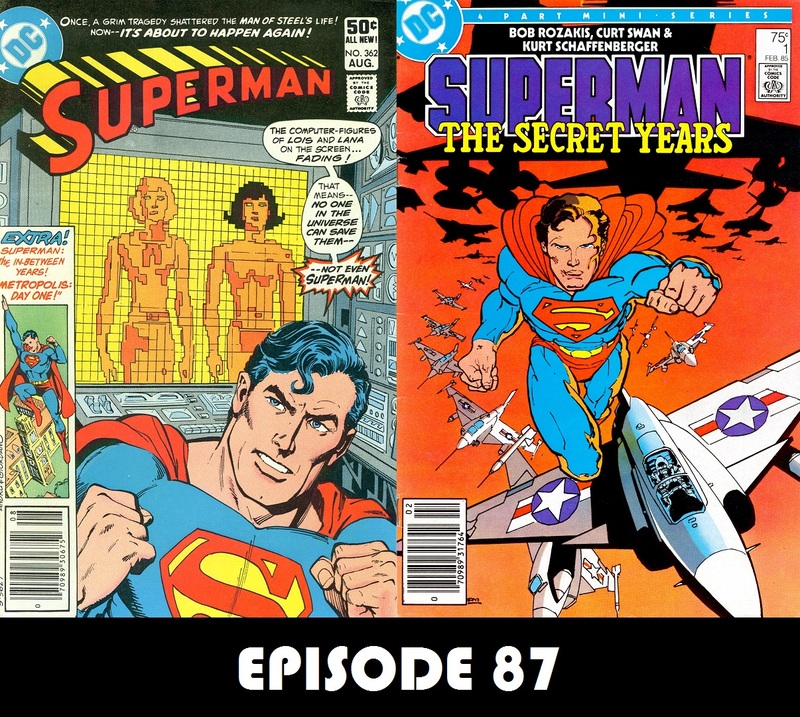 In this, the 87th episode, an old failure comes back to haunt the Man of Steel. A failure that could mean the end for both Lois Lane and Lana Lang. Plus, Clark enters his Junior year of college while still trying to come to grips with the death of the Kents. Hello! No matter how I worded my last email, I did read Phantom Zone #1 first. I don’t know how I worded it to make you think I didn’t. I apologize. It looks like I’m going to get on my bully pulpit again. Come on people! Send Charlie an email. He deserves it for all the hard work he puts into this great podcast. Where was I?…Oh yeah…Episode #87 was great. I think I told you on Facebook how much I enjoyed this two-parter. Both issues are in my vast collection. Listening to the story again made me think…this might have been the only non-imaginary story where either Lois or Lana were that close to death. You can correct me if I’m wrong. I was wondering why this virus only affected Ma and Pa Kent but not Superboy? Doing a little bit of research, there doesn’t seem to be a disease or virus that affects adults but not children. Guess that’s comic fiction for you. Earth-2 Clark Kent became Editor-In-Chief in Superman Family #196 (July 1979), so he was already Editor by the time of Superman #362. I absolutely love Superman: The Secret Years. I always wondered why that series never came out in paperback. They could always add those Superman: The In-Between Years back ups to increase the page count. Maybe it wasn’t popular enough; I don’t know. Better go for now…I hope Lois and Lana make it.